We all know that Rural Real Estate people are masters in many spheres. Graeme Rogers is no exception. Growing up in the shadow of the mountain, he had school holiday jobs on various farms as a lad. But the construction industry beckoned, so Graeme spent the next 14 years as a builder, soon with his own company. Since 1990 he has been selling Taranaki Rural Real Estate, becoming Wrightson's Manager before moving over to set up and manage then become part owner of Harcourts Bell Block. Graeme now resides at the main office (New Plymouth) to oversee the Rural/Lifestyle and Subdivision sector also helping in the day by day training of the agents. Family, sport and grandchildren are a big part in Graeme's life. Playing for NP Old Boys for 20 years and still playing squash for his Waitara Club. In their busy spare time, Graeme and Helen also farm a finishing/ supplement unit at Brixton, proving that he really does know what he's doing in the farming world. Most of all Graeme enjoys being with people. He relates easily with an understanding of farming, building, rural & lifestyle properties, residential & rural subdivisions, management and business approaches. He is friendly and professional. He takes his Real Estate responsibilities seriously and pays attention to detail. Graeme always enjoys a challenge and doesn't give in. Graham was raised on a dairy farm just north of Stratford. Beginning his career in telecommunications, Graham worked as Telecom Network Operations Manager for central and south Taranaki, before leaving to purchase a 300 cow dairy farm operation in the Manawatu with his brother. Graham and his wife Diana have since owned a rest home in New Plymouth and later a large north Taranaki Rural mail contract. Graham joined the real estate industry in 1999 and holds a National Certificate in Real Estate and Branch Manager’s Certificate; he is also currently completing the National Diploma in Real Estate. In 2006 a large national real estate company enlisted Graham to open a New Plymouth office for them in the role of branch/sales manager. Graham welcomes the opportunity to manage the sales team for the successful Harcourts office in New Plymouth. Profile, Performance and Perseverance John is the principal of Harcourts. A combination of professional elements adds up to success in the Real Estate industry. Is it enough to be acknowledged as one of Harcourts’ top residential agents for fifteen years, with successful property transactions now totalling over $50,000,000. Does being an Associate of the Real Estate Institute of New Zealand help? Accolades from within the industry and academic successes are fine, they are pre-requisites to John Christiansen’s professional self esteem. It is, however, innate thoroughness, a sensitivity for peoples’ feelings and a talent for innovative marketing that mark him as an expert. Contact John directly if you have any problem or query about the Real Estate industry in Taranaki or the services of Harcourts in Taranaki. What an outstanding place to be working in real estate! “Taranaki is, diverse and wonderful in all that it has to offer”. I am passionate about this region, and my rural real estate role at Harcourts brings with it the privilege of helping others to achieve their real estate goals and dreams. My personal enjoyment and success in this business is due in no small part to working in an excellent, forward focused company, with a very strong team of agents. Many locals are unaware of the size of the Harcourts rural team with over 130 experienced consultants nationwide. We really do have the country covered. Information is important, it’s my pleasure to provide a committed service when assisting rural clients in preparing land for subdivision or selling existing lifestyle blocks and farms. Information helps clients understand the process, smooth the way and deliver successful outcomes. So if you are in the market to buy or sell a rural or lifestyle property, give me a call. You will find the possibilities are wide open. Chris brings international experience and understanding from her draughting background and working overseas - more recently, in the rental property market in the Middle East. You may know Chris through her love of golf - her favourite activity when away from work. Chris joined the Harcourts team in 2012 and it was one of the best decisions Chris has made. She loves their brand, cutting edge technology, professionalism, systems and support services. She also embraces their four core values; People First, Do the Right Thing, Be Courageous, Fun and Laughter. Great communication skills are an asset when it comes to the marketing of a property and Chris keeps in contact consistently with her clients, following up all prospects and offering regular feedback to her vendors and buyers. In the past two years, Chris has the enviable record of 100% success with her property sales. If you are considering a move in the future or would just like to have your property appraised, Chris would love to hear from you. Give her a call today for the very latest real estate market news or for a free market appraisal of your home. Di Brien’s Real Estate mantra is ‘Out there for you’. Never one to rest on her laurels or miss an opportunity, Di’s tenacity and pro-active approach to all that she does for her clients is reflected in the success that she has attained in the industry over 8 years. A love of design and marketing, plus an ability to nurture lasting and rewarding business relationships with a broad range of clients, are real assets which Di has made work to her advantage as a valued member of the Harcourts team. Self-driven and a dependable team player, Di works to her strengths and networks widely to ensure that her vendor clients are well-represented in the market place and have the best opportunity to attain optimal results. The well-established and reputable Harcourts brand underpins Di’s Real Estate business and adds tangible value to her clients’ results. Di is an accomplished salesperson whose people skills and flair for sales were consolidated when she owned a successful speciality kitchen store for close to 9 years. She thrives on seeing a property deal come to fruition and is steadfast in her determination to streamline the process and make it as stress-free as possible. In line with Harcourts marketing philosophy - which is founded on quality, impact and reach - Di is adept at putting together effective marketing campaigns that showcase her clients’ properties to the widest possible target audience and, after proficient negotiating, see the SOLD sign go up. Di lives in a seaside Taranaki village and in her spare time is an SPCA animal walker and is actively involved in the local arts and music community. She is a Friend of the Taranaki Arts Festival Trust and champions the region’s progressiveness and vision when it comes the arts scene. Jack is assisted by his wife Paula and together they have over 40 years Real Estate experience, consistently achieving in the top 5% Nationwide. Jack has spent the majority of his time based in New Plymouth. After graduating from Massey University with a double major in Psychology and Sociology, (early 1970s) Jack assumed the role of Company Secretary/ Partner in his families Fish Exporting Co, a fascinating career to say the least. Far removed from his University qualifications. In 1980 he entered Real Estate. He is passionate about his golf (current handicap 3) and escapes every now and then as a release from his busy career. For an indepth knowledge of New Plymouth Real Estate call Jack & Paula. Kasey is an incredibly driven, enthusiastic and vibrant individual who has a natural instinct and passion for property. She is passionate about her job and will work tirelessly to gain the results you require. 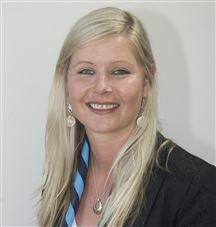 Kasey will ensure that she markets your home accordingly to your requirements to enable a successful sale. Kasey will share her knowledge and expertise to take the stress out of the unknowns in your property decisions. She truly believes that you need to be able to talk honestly and openly with your agent, there is no point having a salesperson that simply tells you what you want to hear. 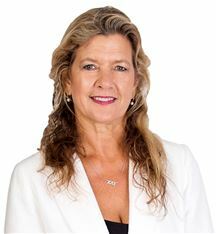 She is here to work with you through your entire property transaction, giving you honest advice and realistic expectations about your property. Make Kasey Bunn your name of choice when you sell your home. Going the extra mile to get the job done is second nature. Choosing Kasey to represent your property interests in today’s market, would be to take advantage of her drive, energy, enthusiasm to produce the very best results. After relocating to New Zealand in 2003, I achieved my Post Graduate Diploma. This laid the perfect foundation for me to start my own café businesses where I gained essential skills that I transferred to my real estate career. I spent over a decade building relationship with customers and getting immersed in the Taranaki community. Through this I developed strong marketing skills, adaptability techniques and the ever-important ability to build a rapport with all my clients. Whether it be buying or selling your home, specialist skills are required to make the process go smoothly. My strong passion within the real estate industry and strong desire to help people allows me to take care of all your real estate needs and deliver the highest standard of care to all my clients. I am fluent in English, Cantonese and Mandarin and understand different cultures, which enables me to establish networks in both local and Asian communities. Talk to me today - I will lead the way and help you achieve your dreams in Real Estate. Lonely Planet Magazine said that New Plymouth is the “Second Best Region in the World to Visit” (Lonely Planet's Best in Travel 2017). I totally agree! I was born, bred and educated in Taranaki, and apart from my big OE, (London, Scotland, Europe, Germany) have spent my entire working life here. I spent 25 years in the car sales industry and since 2009, have been selling Real Estate full time in the New Plymouth District. During this time I have won a number of regional awards, also placing in the Top Three nationally for Commercial Sales. I believe my negotiating skills are second to none, proven by the fact that I have never lost a multi-offer scenario - always managing to attain the top price from my purchasers. I will use this particular skill to ensure you get the very best price, in the shortest time frame! I am constantly upskilling, as in the Real Estate Industry, agents need to complete 20 hours annually to keep up with all the new rules and regulations. To help guide us towards the correct marketing decisions for your property, the Harcourts Team always ensures that the latest property statistics and information are up-to-date and on hand for your suburb. Every listing is taken with the utmost seriousness and every vendor treated with the utmost professional and ethical excellence. When selling your property, I will be available 24/7, to answer any questions you may have, and to ensure no potential buyer is left unattended, or wondering what their next step may be. You can may be assured that my full attention will always be given to achieving your goals. Phil has launched his Real Estate career with Harcourts after 30 years in the Radio industry bringing with him a wealth of local knowledge and a wide network of friends and associates from all walks of life. 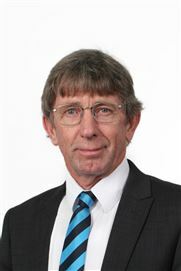 Having been a New Plymouth District Councillor for 12 years Phil has gained a thorough understanding of local issues and his previous role as Chief Commissioner of the Councils Hearings Commission developed an in depth understanding of the requirements of the District Plan. Phil is married to Kim and they have 3 boys, all born, raised and educated in New Plymouth. Phil can also be heard commentating Taranaki rugby and cricket matches on the Radio Network, is a popular MC at many local events and when not watching his boys play sport, can be found playing golf at Ngamotu which he has a huge passion for. I am a true professional and a team player. With an exceptional eye for detail and passion for marketing, I understand how to position your property in the market in a way that expresses its uniqueness. By listening to your needs, I am able to reduce the stress associated with selling, making the experience pleasurable. To be entrusted with the sale of your most valuable asset is something I do not take lightly. I communicate brilliantly with buyers, ensuring they have a positive connection to your property and trust me as your representative. I have also received an award from Volunteering New Plymouth for my valued contribution of voluntary service to the community. With a consistency in achieving great results, my motto is: All The Way With You - Selling Solutions, Not Promises. Harcourts Achievements and Awards First in Sales for the Month January 2017. Certificate of Excellence Award: Rising Star in the Wellington Region for January 2017. Testimonials: I wish to endorse Ritu Jaswal as being an excellent choice for buying or selling Real estate. Our family was fortunate to have selected Ritu to sell the family home. She is knowledgeable of the market and assisted us a with marketing plan and the correct price range for the sale. We appreciated working with Ritu as she showed integrity, was hard working and had a very professional attitude. A Henderson I would like to thank you, Ritu for helping us sell our previous home in such a short period of time. I think you are very knowledgeable in all things real estate and I am happy we used your services. We got a reasonable price in just a few weeks and I would highly recommend you to anyone who is interested in buying or selling a property. Thank you very much. N Dial. Time flies when you're having fun, and my years in Real Estate have certainly flown by since I began in1995. I love the Real Estate business. The challenges, problem solving and negotiating deals make for a fascinating life. I guess being an eternal optimist helps, just as it does with my golf; I never give up until the putt goes down! My enjoyment and success in this business is due in no small part to working in an excellent, forward focused company, with a very strong team of positive colleagues. I look forward to the opportunity of talking with you on any matters of Real Estate which may be of interest to you at the moment. Shelley has an extensive advertising sales and writing background for local magazines – Ragtime and LIVE, respectively, plus a career in advertising sales for stations of The Radio Network. Her trusted experience gained representing these media brands sees her now utilise her strengths for property sales. She brings to the table 30 years of local knowledge, a genuine interest in people and their ambitions, an ability to actively listen and act on behalf with frank communication and strong negotiating skills. 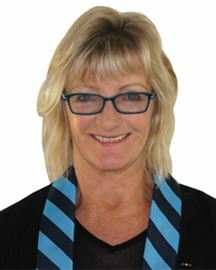 Engage Shelley’s upbeat personality, positive attitude and friendly manner for your next property sale. See Shell. She sells! My Real Estate career started in 2006 and since that time I have helped many families sell their properties and find a special home in New Plymouth and the Taranaki District. 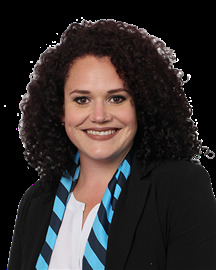 Originally born in Taranaki, I am a mother of three and understand the importance of dealing with someone you trust. A positive approach to selling with both compassion and a Can Do attitude, combines with my local knowledge to guide you every step of the way. I understand that Real Estate is more than about people and property. I work with honesty, integrity, dedication, perseverance and professionalism. This work ethic has earned the loyalty and respect of my clients and peers as an admired real estate professional. I would be happy to help you with your property needs. Phone me today and see how I can make a difference to the sale or purchase of your property here in Taranaki. With over 12 years’ experience in the Real Estate industry as a Sales and Marketing consultant, in both the North and South Islands, and 15 years in the retail industry, 9 in management, I am well qualified to market and sell your property. I have sold Residential, Lifestyle, Commercial and Rural properties and my total sales have exceeded $45 million. I attended the full Harcourts Training Academy in Christchurch in 2010, and achieved Top Salesperson in the Motueka office in December 2009, February 2010 and July 2010. Soon after I returned to Taranaki to deal with family matters, bought property, and am now back home to stay. During a 2 year stint owning and operating my own motel in the very busy Nelson summer suburb of Tahunanui, customer service became of the utmost importance to me. On a personal level, I am one who likes to seek out the big picture and is always looking for a challenge. Never afraid to get my hands dirty or my feet wet, I have climbed mountains, leapt from a gondola into a canyon, jumped out of an aeroplane (twice), barrelled through white water, swum with dolphins, bashed my way cross-country through thick bush for 5 days, and was a Search and Rescue Volunteer from 2000 to 2005. I am a member of Sport Taranaki affiliated group Women In Action and I donate regularly to the East Taranaki Environment Trust, where they are doing a wonderful job of bringing back the Kiwi. They have also re-established the Kokako, a stunning bird with a soulful call. Every New Zealander, now and in the future, needs to see and hear these icons. This is my way of “Paying it Forward” for future generations to enjoy these precious birds. Supporting “Big Brothers, Big Sisters” is also a passion of mine. This is a mentoring programme run in conjunction with the New Plymouth Police. 8 Bedrooms and a Pool! Nearly New & Ready For You! Country Fresh - City Close! Owner has gone - Move in Now! Karaka Hill is A Cracker! Land Bank in the City! Fix Me up and make a buck! This is a Sun Trap! Dreaming of a Grand Design? C H A R M with a capital "see"
Missed out on your Dream Home? RED ALERT - This must be sold!